My Xronos Clock has been using DS1307 time chip from very beginning. 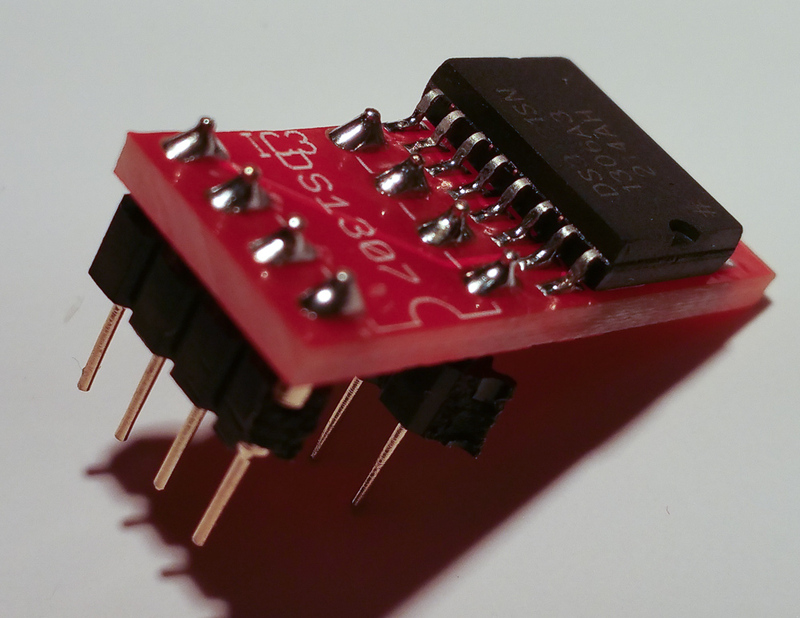 It’s an OK chip, and it’s biggest advantage is that it comes in DIP package to easy soldering which is great for DIY kit. However it’s not the best and most accurate RTC chip. It can loose or gain few seconds per day, which can turns into a minute or two in a month. 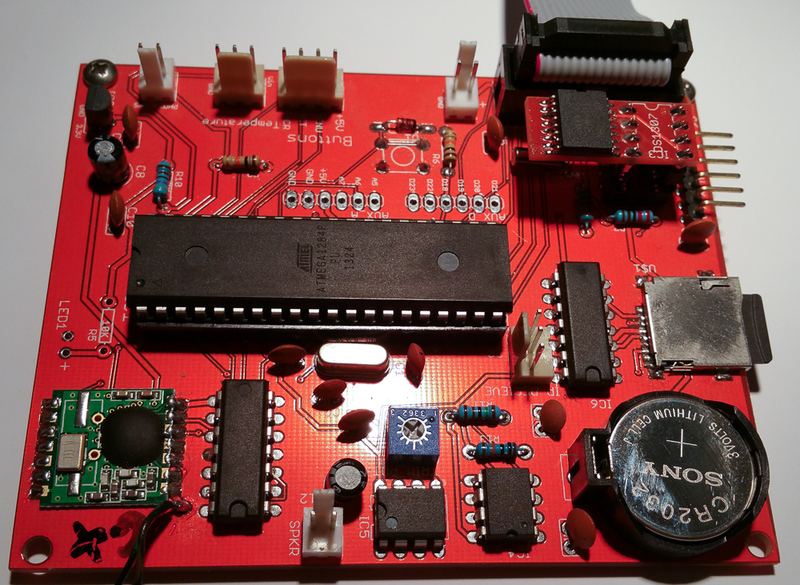 There’s a much better chip out there called DS3231. It’s super accurate and stable under wide temperature range and has built in Oscillator, while DS1307 needs a separate one soldered to the PCB. It has only two drawbacks. Chip comes in only SMD (not thru the hole) packages and it costs a little more thatn DS1307. I’ve been thinking how to replace DS1307 with DS3231 on existing clocks and found relatively simple solution. 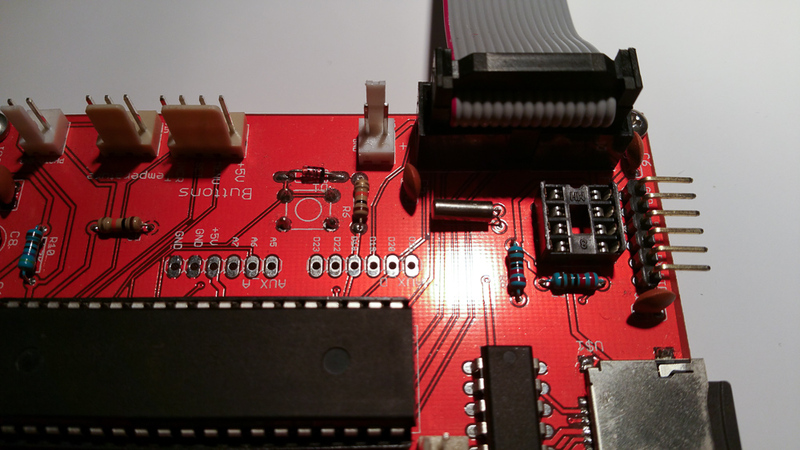 Solution is small adapter PCB which has DS3131 chip soldered to it and it plugs into space meant for DS1307 IC. Biggest challenge is de-soldering existing chip if you didn’t use IC socket. With socket it’s easy. You just remove one and plug in another. I will have DS3231 adapter in my online shop shortly. 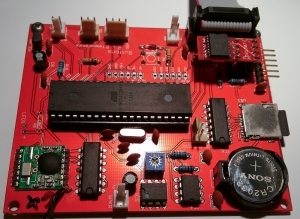 It will include PCB with pre-soldered DS3131 chip, and headers. And as always design is open source so you are welcome to make your own.